This session examines what clothes are for and what we mean when we describe them as fashion. The key theoretical prism is semiotics, the study and interpretation of signs and symbols. 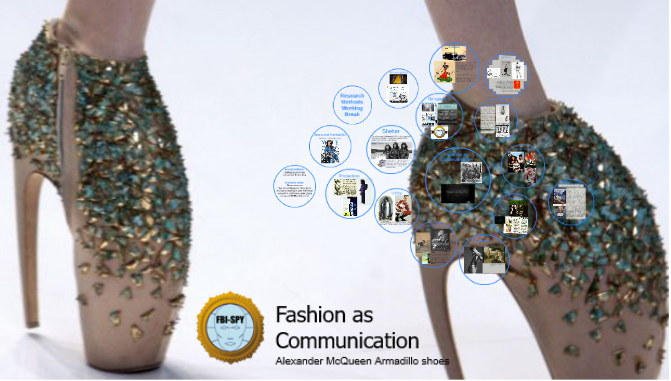 In fashion, semioticians have sought to reveal the ideologies transmitted through dress (e.g. Roland Barthes, The Fashion System. 1967). 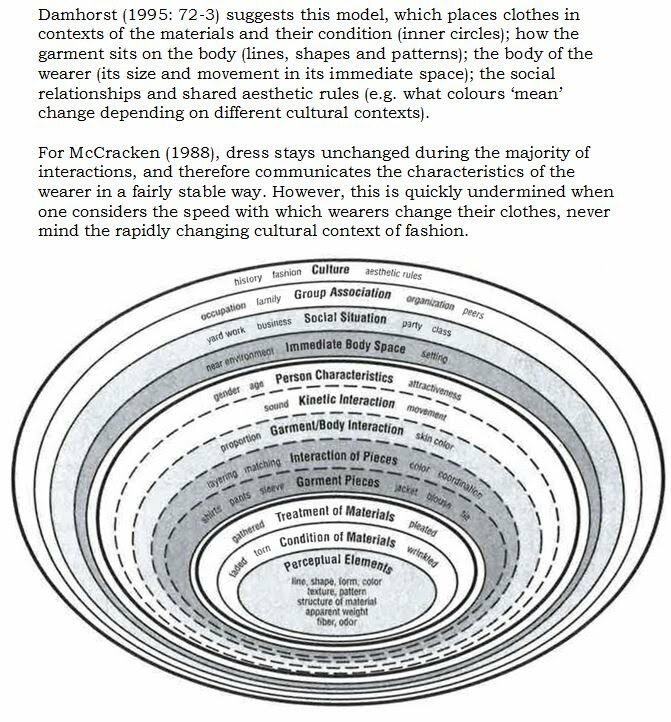 This is a matter made difficult since key fashion elements – such as colours, textures, postures – “have quite different symbolic references in different areas” (Fred Davis, Fashion, Culture, and Identity, 1994). Cultural Capital: Watch the film and write a paragraph about how the ideas relate to taste in dress. How does one benefit from demonstrating dress taste? Fred Davies. Do Clothes Speak?